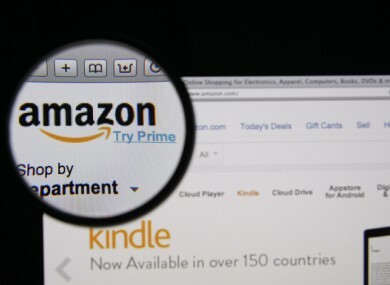 The European Commission claim that terms in a 2003 tax deal allowed Amazon to limit its overall bill to less than 1% of its European income. THE EUROPEAN COMMISSION (EC) has launched an investigation into Luxembourg over a tax deal it struck with Amazon. The EC believes that Luxembourg gave Amazon favourable terms in a 2003 deal, which is still in force, giving them an “economic advantage” by allowing them to pay less tax than other companies. Yesterday the Financial Times reported that this deal helped limit the company’s overall bill to less than 1% of the retailer’s European income. The central allegation is that Luxembourg allowed Amazon to misallocate profits within its corporate structure, in a way that fell short of standards expected of an arms-length transaction (i.e. they’re both independent and have no relationship between each other) between corporate subsidiaries. In short, it allowed Amazon to artificially reduce its tax bill on a selective basis. If these charges are proven, the commission can ask Luxembourg to recoup the substantial state subsidy from the firm. The EC say that Luxembourg did not fully comply with its request for information as part of the investigation, instead only providing a limited sample. In a statement, the EC commissioner for Taxation, Allgirdas Šemeta said that ensuring fair tax competition was essential for the EU common economic prosperity. As we work together to restore growth and competitiveness, it is essential to tackle the harmful tax practices which erode the tax bases of EU Member States. Fair play in taxation must be the rule. The EC is clamping down on a number of EU countries including Ireland, which denied that Apple received “selective treatment” on taxes paid in the country over two decades. Email “It's not just Apple and Ireland. The EU is looking at Amazon's tax deals in Luxembourg”. Feedback on “It's not just Apple and Ireland. The EU is looking at Amazon's tax deals in Luxembourg”.